This really isn’t the easiest time of year for keeping motivated and focused on an edit. The burst of enthusiasm that January brings has passed, and yet it’s still very much still winter. The cold, wet days are taking their toll and, whilst there’s a glimmer of hope in the lengthening hours of light, springtime – let alone summer – still feels a very long way away. At this point in the last two years I’ve been in the early stages of first drafts, when everything is exciting and new and I’ve just been able to write without fear of getting it wrong. But this year I’m attempting the third draft of my latest novel, and whilst it’s actually going pretty well I’m having to pull out all the stops to keep things that way. So I thought I’d share my editing essentials: the crucial elements that have kept me going when the going’s got tough, the crutches I’ve turned to when I’ve been sorely tempted to curl up under the duvet (or at least under a blanket on the sofa whilst Arthur watches The Lion King for the umpteenth time). No surprises there then. 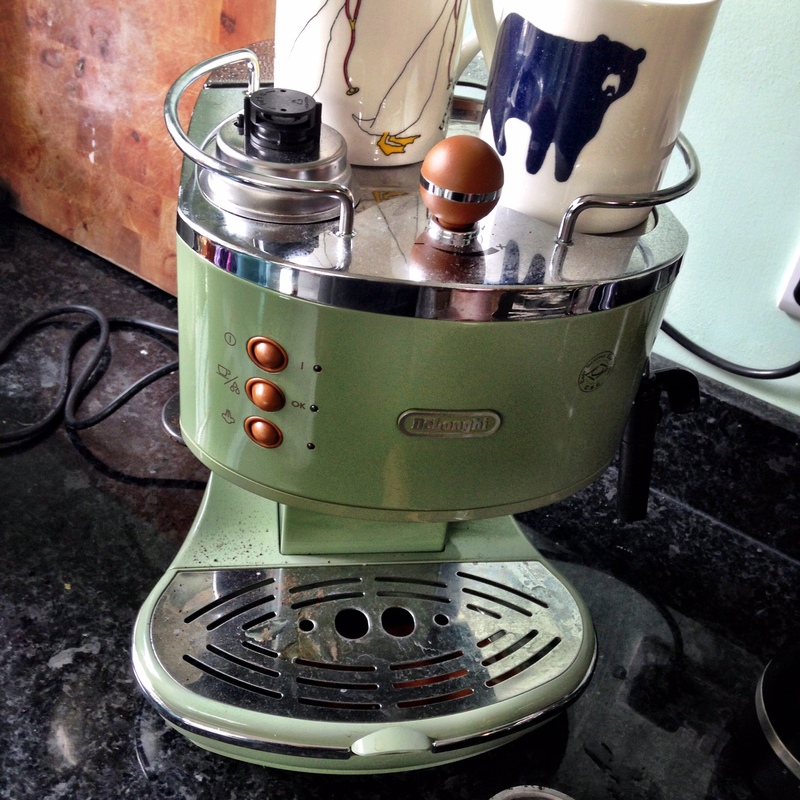 I have always really appreciated a decent cup of coffee, and since Leigh bought me a gorgeous DeLonghi coffee machine for my birthday last year it’s become something of a ritual. I like my coffee organic and strong, with a generous serving of frothy milk. One with breakfast, and another (with a large glass of water for good measure) when I sit down to write. I’m generally on a bit of a healthy eating tip at the moment, but decent dark chocolate is definitely one of my weaknesses. My brand of choice is Plamil – organic, nut free and delicious – and I will invariably enjoy a couple of squares of their ginger chocolate, or if we’re out of that a handful of chocolate drops, whilst I sit down and gather my thoughts. I have made no secret on this blog of my love for the Connecta baby carrier – and in fact you will find me extolling its virtues over on their blog too. But it really has been invaluable for the tricky business of writing whilst looking after a toddler. Arthur still naps in the sling, as he has ever since he was a tiny baby. I think the fact he enjoys his cuddles so much is one of the reasons why he still often has two naps a day. The design of the Connecta means that it is essentially supporting him to sit on my lap, so his (ever increasing) weight is spread evenly and unless he has a really monster sleep it’s pretty comfortable. And knowing that he is safe and close and happy means that I can focus all my attention on my work. My discovery of this software has done wonders for my organisation. 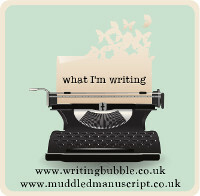 I found it great to write the first draft in, following my carefully planned structure and using the daily targets to keep me motivated, and now I’m deep into the edit it’s really coming into its own. I love how I can flit back and forth, move things around or cut them out completely safe in the knowledge that I can still get them back if I need them. I can keep an eye on my word count, and refer back to all the bank of research that I built up whilst I was writing the first draft. And all in one window. 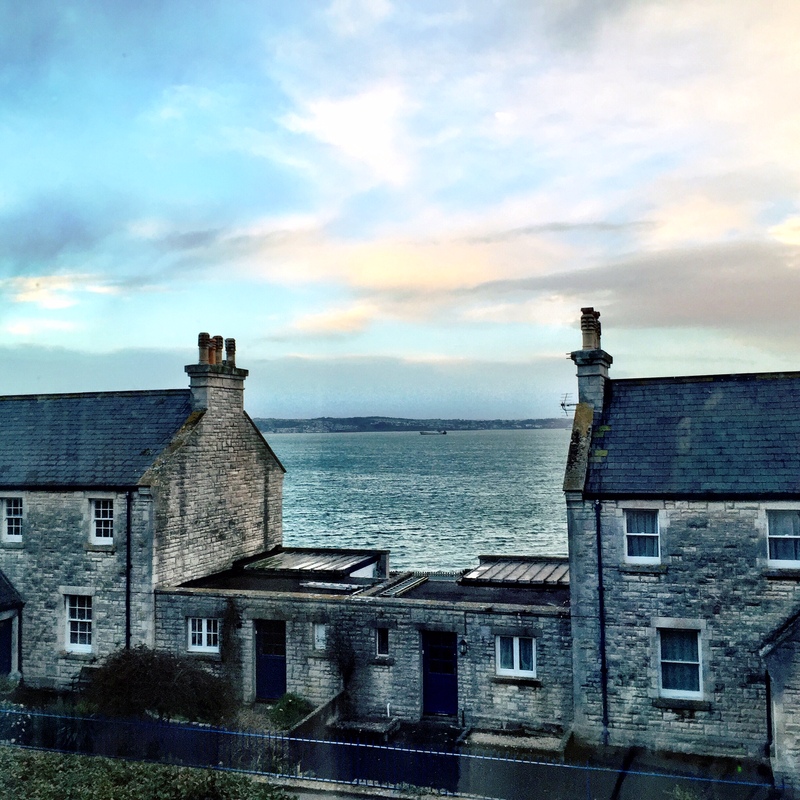 I always dreamt of one day living by the sea, and more specifically having a place where I could write looking out over it. When that dream became a reality I was worried at first that the view might be a bit too beautiful and would distract me from getting anything done. As it happens though, that’s not a problem. I think my big computer screen helps – I have to consciously shift my gaze to get away from my manuscript. But there are times when I’m getting so frazzled that I really need something to give me a break from it all, and looking out at the big open sky and the ever-changing landscape of the sea is just the ticket. And that’s about it! Those five things have done a sterling job of keeping me on the straight and narrow so far, and I’m hoping I can continue to rely on them over the next few weeks as I bring this edit to a close. How about you? 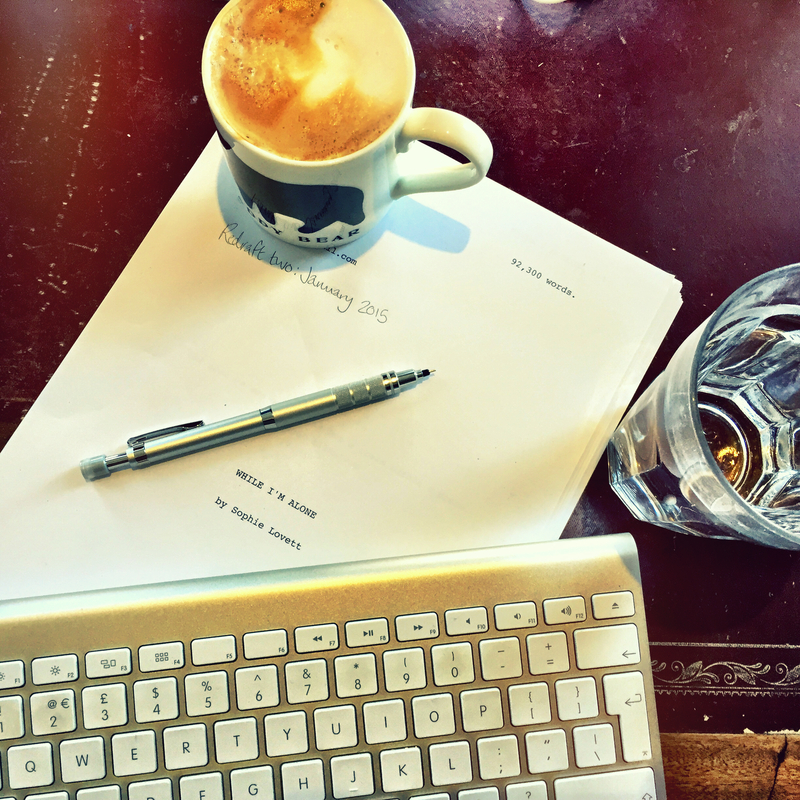 What are the things that help you keep your focus when you’re writing (or editing)? I’d love to hear your thoughts in the comments. 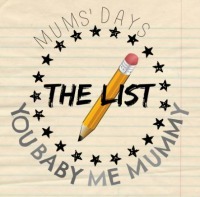 This entry was posted in Sophie is writing and tagged chocolate, coffee, Connecta, Connecta Baby Carrier, editing, novel, Plamil, scrivener, toddler, writing, writing mum, writing with a toddler on February 23, 2015 by sophieblovett. Oh my gosh that view Sophie. Is it real? I wouldn’t get any work done if I had that to look at everyday! I’m with you on the coffee though. Not only does it sharpen the mind, it helps you type faster too (it does me anyway). I’m lucky I don’t need to entertain young children during the day anymore. 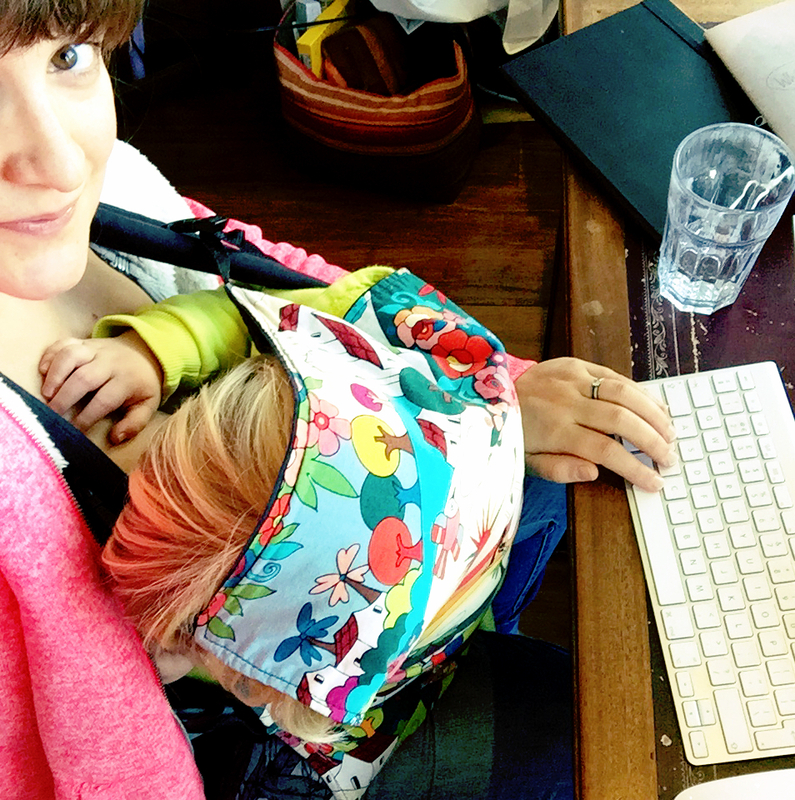 Looks like the sling has come in useful, though don’t you get achy shoulders from leaning forward to type? (Says the girl with back problems). I simply adore this post. And can relate to nearly all except for your incredible view which I am absolutely drooling over, is that actually from your window, because if so omg!! Yes to coffee (second to the view is my envy of your gorgeous machinery) and chocolate, and napping children. I loved napping my babies in a carrier though with my first I could never sit down (very very unfortunate) and my second quit his earlier than I would’ve liked. I love that your toddler can snuggle and sleep while you write. Simply dreamy, pun intended! I’m also on what feels like my third novel draft though I’m farther along in page count than previous attempts, and I agree that I need all the motivation I can muster to keep my interest going some days. Good luck to you, and thanks for this inspiring post! Oh what wonderful boosts to creativity! We have a De Longhi as well, and while I love coffee, sadly it doesn’t love me back (since pregnancy I get severe heart palpitations even with a latte! Sigh!). A quiet room, light streaming in, warmth, and sitting at the dining room table is where I get most of my writing done, although so much of it comes through my mind wherever I am, and for that I use the low tech notes app on my iphone, or scribbled notes in good old fashioned pen to paper! Lovely post! I tend to do most of my writing by hand but I’ve heard so many good things about Scrivener I’m definitely going to check it out – I can see it could make my life so much easier in the long run. My essentials: Hot chocolate and any opportunity for a relatively free mind! I’m so jealous of your view! We have one view over fields (and that’s the boys’ bedroom so I don’t get much chance to enjoy it), the rest is neighbouring houses. I couldn’t agree more on coffee and chocolate – I’ve had both myself this morning while writing. And I’m impressed with the sling, my children were squirmy wormy babies and never tolerated it for long. I tried a number of different types too. I agree Winter has gone on too long, roll on Spring and I’m sure it will help us all feel more upbeat. I love the baby sling, it looks really comfy! For me, an essential to doing my best work is figuring out when I’m most productive. I know that if I do my work first thing (morning is my productive time), it’s always much better and I’m prone to less mistakes. Therefore I do the bulk of my writing and editing in the morning and other stuff (like emails, photo editing, brainstorming etc) at night.